Vous connaissez les daring bakers...et bien maintenant le cercle s'élargit et le défi est maintenant ouvert aux plats salés. 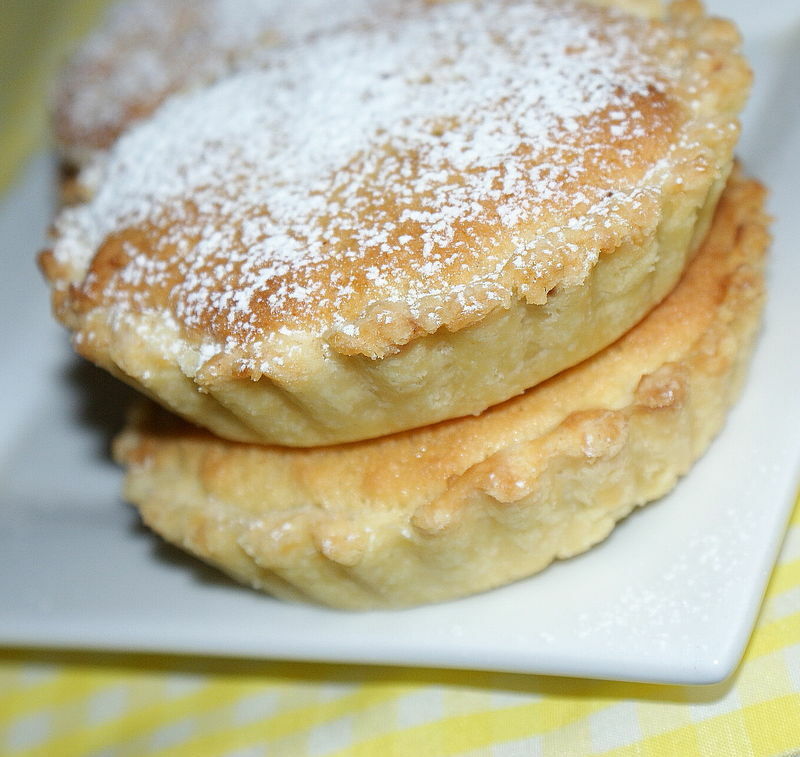 LA recette est de Jen du blog: use real butter . Wrappers: Well yes, you could purchase pre-made dumpling wrappers at the store (NO WONTON WRAPPERS - they have egg), but they are inferior compared to homemade. 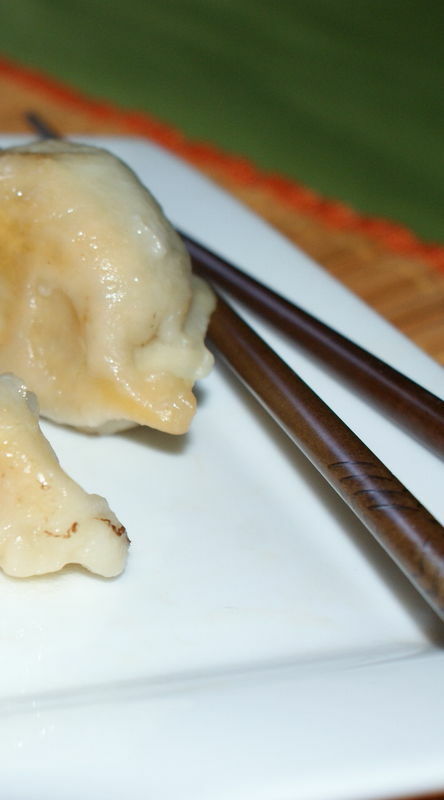 The whole point of this challenge is to make the dumpling wrappers by hand. So here is the one requirement: the dumpling wrappers must be made by hand. It isn't all that hard, it just takes a little time and practice. People usually get the hang of it after making about a dozen. 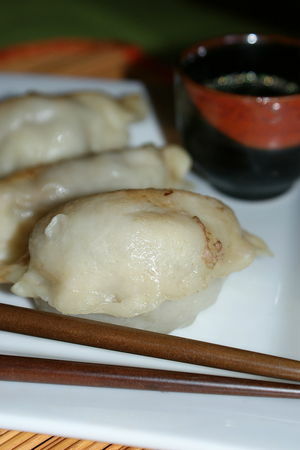 **NOTE: I have a special recipe for gluten-free dumpling wrappers at the bottom of the post. They are another type of traditional dumpling and they are pretty awesome (although more finicky). 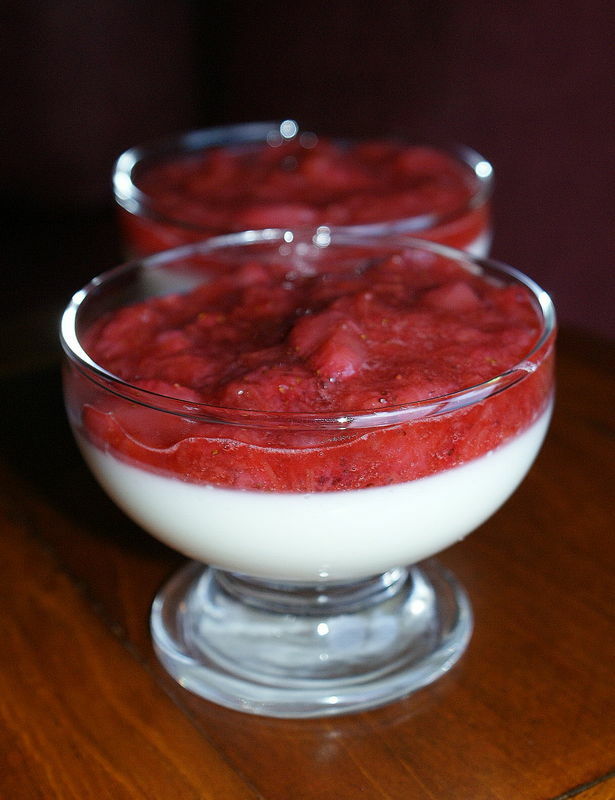 Really delicious too, so you may want to have a looksee even if you aren't gluten-free. [EDIT 5/18/09:] I see that some have chosen to make the wrappers by hand. I don't recommend this method because the wrappers will be too thick and probably yield far fewer dumplings for the dough recipe. The point of rolling the dough is for uniformity of wrapper and to achieve a thickness that is otherwise difficult to attain by hand. Also, rolling is much faster than hand shaping. We're aiming for a delicate skin that does not dominate the dumpling. 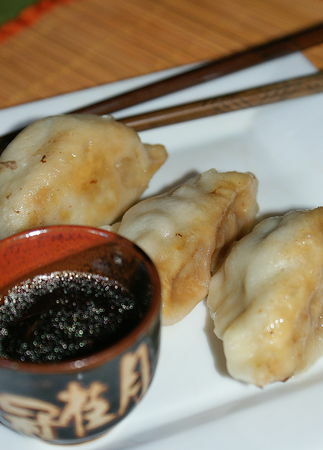 Fillings: the beauty of the Chinese dumpling/potsticker is that the filling is very versatile. That's why there are so many different kinds of dumplings when you go to dim sum. The two most common are pork and shrimp. You can make them with other ground meats (beef, chicken...) or vegetarian (tofu, mushrooms, bamboo shoots, water chestnuts, glass noodles, Chinese chives - oh yum!). The important thing to keep in mind is that the filling needs to "stick" to itself or else you will make your life incredibly miserable wrapping up filling that keeps falling apart. I think if I were to make vegetarian dumplings, I would sauté the cabbage and mash up the tofu for a better cohesiveness. It's up to you how you want to fill your dumplings and I say - run with it! Just keep it cohesive and no big chunks of hard ingredients (they poke through the wrapper dough = disaster). I realize it may be tempting to dump all of the vegetables into a food processor and give it a whir, but I caution against it. You don't want a slurry, you want a mince. Practice your knife skills and be careful. Special Equipment: A rolling pin - preferably not tapered. (see blog pictures for the type I use). Combine all filling ingredients in a large mixing bowl and mix thoroughly (I mix by clean hand). Cover and refrigerate until ready to use (up to a day, but preferably within an hour or two). Make the dough, Method 1: Place the flour in the work bowl of a food processor with the dough blade. Run the processor and pour the warm water in until incorporated. Pour the contents into a sturdy bowl or onto a work surface and knead until uniform and smooth. The dough should be firm and silky to the touch and not sticky. [Note: it’s better to have a moist dough and have to incorporate more flour than to have a dry and pilling dough and have to incorporate more water). Make the dough, Method 2 (my mom’s instructions): In a large bowl mix flour with 1/4 cup of water and stir until water is absorbed. Continue adding water one teaspoon at a time and mixing thoroughly until dough pulls away from sides of bowl. We want a firm dough that is barely sticky to the touch. Both dough methods: Knead the dough about twenty strokes then cover with a damp towel for 15 minutes. Take the dough and form a flattened dome. Cut into strips about 1 1/2 to 2 inches wide. Shape the strips into rounded long cylinders. On a floured surface, cut the strips into 3/4 inch pieces. Press palm down on each piece to form a flat circle (you can shape the corners in with your fingers). With a rolling pin, roll out a circular wrapper from each flat disc. Take care not to roll out too thin or the dumplings will break during cooking - about 1/16th inch. Leave the centers slightly thicker than the edges. Place a tablespoon of filling in the center of each wrapper and fold the dough in half, pleating the edges along one side (see images in post for how to fold pleats). Keep all unused dough under damp cloth. To boil: Bring a large pot of water to a boil and add dumplings to pot. Boil the dumplings until they float. To steam: Place dumplings on a single layer of napa cabbage leaves or on a well-greased surface in a steamer basket with lid. Steam covered for about 6 minutes. une autre recette qui me fait de l'oeil, menoum!! Magnifiques dumplings et jolie présention! J'ai bien aimé ce défi, j'espère que tu as aimé toi aussi. Félicitations! ils sont magnifiques , on dirait des pierogis ! Très bien réussis tes potstickers! ...tu pourrait presque ouvrir un resto chinois!!! Bravo! tes dumplings sont très réussis! Superbe réalisation...Mais quel boulot!!!! félicitations! Très bon! Félicitation! Excuse moi mais j'ai beaucoup râté chez toi... il faut je rattrape ça! J'adore tes dumpling. J'en prends note. A tester cet été. Can these be prepared ahead of time, say a day or two ahead? Would I COOK them, and be able to keep them for a few days? I am preparing a party of 80 people and I know I wouldn't be able to do all this at the last minute. Thank you. 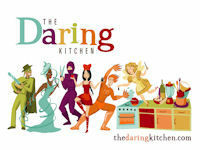 Your Artical (Dumpling chinois ou potstickers pour ma premièere participation au Daring Cooks) is great.. keep up the good work. 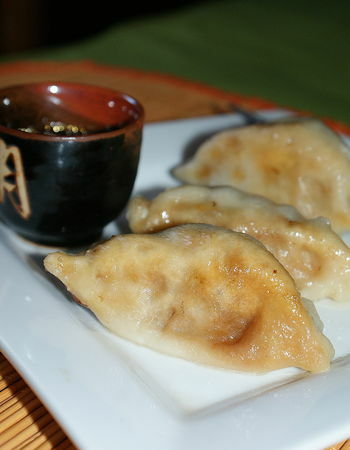 your post (Dumpling chinois ou potstickers pour ma premièere participation au Daring Cooks) is just awesome.. I really liked it and hope to see more post from you.. just keep working, you're doing a great job.. thumbs up!!! In this year's New York Fashion Week, there are more true religion jeans and T shirt styles combination. And this show focuses primarily on the leisure, and lighter Bootcut Jeans on the fasion color in this year's spring and summer. The cutting of the fashion week clothing mainly facours on cultivating jeans anddenim skirt with a wide collar of the shirt design. There will be a big change on cowboy color of this year's epidemic.Can be found in Skinny Jeans the T-shirt with fringed jeans, wearing a simple T-shirt can add leisure and fun, but also reflects the Flare Jeans impressive fashion sense. Believe jeans at Fashion Week will be more and more, jeans increase in the proportion of the clothing sector. So why not to choose one pair jeans for yourself ? quality. They come up in mixture of colors, frame materials and shapes. comes in metal and plastic models. cool, comfortable and soothing irrespective of the hot rays of the sun. rays of the sun but also to give protection from wind, dust and storm. brown, green or grey color sunglasses.